Slots.lv welcomes all new clients with a welcome bonus worth as much as $5,000. 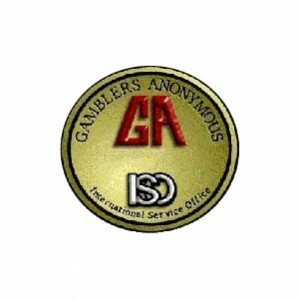 The online casino also offers a wide range of other promotions for new and established members alike. All new customers can receive $22 FREE from Slots.LV – all you have to do is register a new account! Then log in, visit the Bonuses section, and redeem the Slots.LV bonus code SLOTS22 to qualify. Click here to get your FREE $22! The $22 no deposit bonus has a 100x wagering requirement associated to it. So there’s a lot of playing required, but if the bonus money can last, you can actually withdraw the money once you’ve satisfied the 100x requirement! You can cash out a maximum of $125. Any winnings above $125 are forfeited, sorry! And you may only play slot, keno and scratch card games with the no deposit bonus. But in the end, it’s a chance to win free money at no risk, so take advantage of this offer and good luck! After playing the $22 free, you can then make a deposit and cash in on the deposit bonuses. The Slots.lv welcome bonus is spread out over nine deposits. On your initial deposit, you can earn a 200-percent match up to a $1,000. Be sure to use bonus code HELLOSLOTS200 when making the deposit. On each of your eight subsequent deposits, you can earn a 100-percent match up to $500. Use the promo code HELLOSLOTS100 for each of those eight deposits. There’s no minimum deposit, and depositing $500 each deposit is how you secure the maximum welcome bonus of $5,000. Codes are optional, so you could use the first code and not the second, or use the second code twice and then stop. If you skip a bonus, you’ll still have eight times in total to use it. Bitcoin is the virtual currency that makes playing online casino games more convenient. Slots.lv promotes the use of BTC with a special 300% up to $1,500 Bitcoin welcome bonus through the bonus code SLBITCOIN300. This deal is only valid on the first deposit you make with Bitcoin, but there’s another code, SLBITCOIN150, that you can enter with eight subsequent Bitcoin deposits for 150% up to $750! To score an outstanding sum of $7,500 in gratis cash, make nine bitcoin deposits of $500 each, remembering to type in the correct code every time. These BTC bonuses come with the same 35x playthrough demands as the normal welcome bonuses, and you can clear them with the same games, at the same percentage contributions, too. Because the maximum totals and percentage matches are higher, you’ll do better with these bonuses than the standard ones. However, you can first use the normal welcome bonuses with some other payment means and then claim the Bitcoin-only bonuses to maximize the complimentary money you haul in. The Weekly Double Up is this casino’s answer to the reload bonus. You’ll receive a new code each week that when entered during a deposit will give you a 100-percent match bonus up to $100. You can use the same code up to seven times that week. We can’t post the code here because you get a new unique code each week on Monday, which you’ll find in your My Bonuses section of the site. You’ll also find information about the wagering requirements for that given week there as well. Want to snag an additional $25 bonus? The next time you’re planning to wager $500 in a given week, simply spend at least $250 in the Slots.lv mobile casino and $250 in the desktop casino. If you complete this requirement during a single Monday-through-Sunday span, the casino will give you an extra $25. This bonus comes with a 60x playthrough requirement, and only slots (excluding 3D titles), keno and scratch cards can be played with it. You’re restricted to a maximum cashout of $125 with the Mobile & Desktop bonus. Facebook Freebie is a “limited” promotion that’s been running since 2013. This freebie is a small $10 bonus, but all you have to do to claim is like Slots.lv on Facebook, share the Slots.lv profile picture and then email the casino an image of that Facebook message along with your email address. This $10 bonus is subject to a 100x rollover requirement and can only generate $125 in total winnings. What’s more, only keno, scratch cards and non-3D slots can be played with this free bonus chip. MySlots is the Slots.lv rewards program. It has eight tiers, and you’re automatically assigned to the first tier when you join. You earn Reward Points each time you make a real money wager. Those RPs can be converted into cash money. The program also rewards you in other ways, including boosted promotions, reload bonuses, cash-back bonuses, bonus draws and more. Slots.lv accepts most major credit cards, including MasterCard and Visa. In addition to credit cards, you can use debit cards and prepaid cards. Slots.lv accepts bitcoin deposits as well. Direct Bank Transfer and Interac e-Transfer are also supported, but these options are only available to members in Canada. The credit card and bitcoin options are available to all, including users in the United States. The rules for deposits and withdrawals are very consumer-friendly. There are no fees charged for deposits by Slots.lv, so the only fee you stand to incur is from the financial institution. If you use a credit card, then the first withdrawal in any given month is free, but subsequent cashouts will incur a $50 fee each. The cost to request a check by courier is always $75. The casino doesn’t have hard deposit and withdrawal limits either, but it does reserve the right to charge a handling fee for any withdrawal under $20. The casino also doesn’t restrict the number of withdrawals you can make in a single period; it simply processes them sequentially. All withdrawals incur a 72-hour processing delay but after that are processed just as fast as the method allows. Slots.lv has an amazing game selection that features something for everyone. 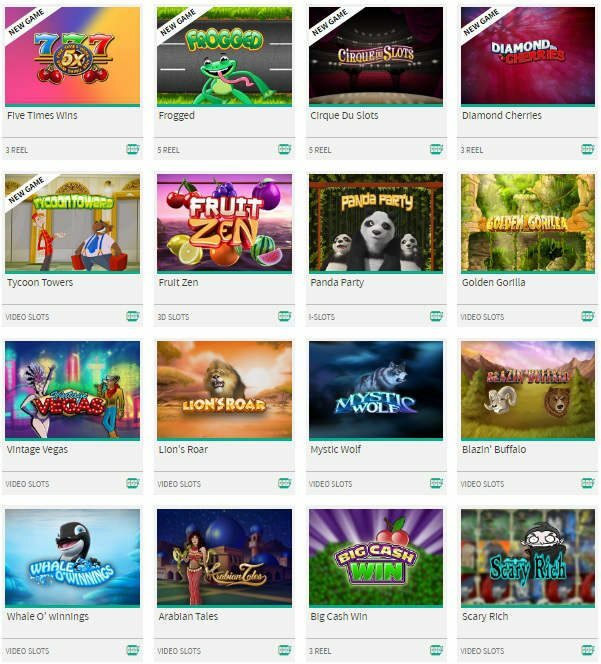 And Slots.lv is regularly updating its game library and adding new and exciting games all the time. Below is a snapshot of the latest games at Slots.lv. Rather than give you an overview, here’s a look at three of the hottest games at the casino right now. Mister Money is an exciting 5-reel video slot offering 20 paylines, a random progressive jackpots, scatter symbol, free game feature, and free spins. The slot also features cool symbols such as private jets, jewelry, cash, diamonds, and more rather than the boring playing card symbols. Click here to play for real money! 5X Wins is a classic fruit machine that pays out 5,000 coins on a three-coin jackpot, which means that you can win $50 on just a 3¢ bet, and you can win as much as $25k. This slot is extremely popular because it’s simple, caters to low to mid rollers and plays very fast. Bulletproof Babes is one of the newest games at Slots.lv. It’s a 5-reel, 20-line video slot machine that draws inspiration from classic fighting games like Street Fighter. This machine pays up to 40,000 times the bet per line, but what really makes it a hit is the sheer number of free spins you can earn each spin. Golden Gorilla is a colorful and attractive video slot machine that has five reels and 50 bet lines. The game offers a fun and lucrative bonus round, but what really keeps the return customers coming back is the chance to win 50 free spins each round as well as the opportunity to stack additional free games. Receive up to $5,000 in casino bonuses! You can read more details on the Slots.lv no deposit bonus here.